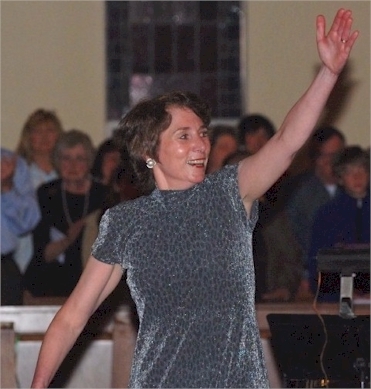 Tina Johns Heidrich is the Founder and Music Director of the Connecticut Master Chorale. Ms. Heidrich’s unique approach of “work hard but have fun” and her immense energy ensure an exciting and educational experience for her singers, while eliciting their very highest performance quality. Celebrated for her devotion to the choral arts, music critics have praised her “gift for selecting complex but entertaining material for her high-caliber group” as well as her ability to “elicit the maximum of passion from the music”. Ms. Heidrich has led the Chorale to artistic acclaim and recognition including the great honor of being invited to sing at the White House in December 2002. The Chorale sang by invitation at Lincoln Center in the United States premiere of Karl Jenkins’ Stabat Mater. The Chorale has also performed at Madison Square Garden, Carnegie Hall multiple times, West Point Military Academy, and with the Ridgefield Symphony as their guest chorus – all by invitation. They won the annual McDonald’s Gospelfest Competition for three consecutive years, and appeared on ABC TV. Born and raised in Danbury, Ms. Heidrich earned her Bachelor and Master of Science Degrees in Vocal Music Education from Western Connecticut State University. She has studied with renowned conductors including Joseph Flummerfelt, Gregg Smith, Andre Thomas, Alice Parker, and John Rutter. With an extensive background and over 40 years of experience in choral and orchestral conducting, she has directed numerous school, church and community choirs and orchestras, as well as musical theatre. She has directed choruses on tour in Eastern Europe, Canada, and Washington, DC, and on ABC’s “Good Morning America”, and has served as Guest Conductor for several groups. 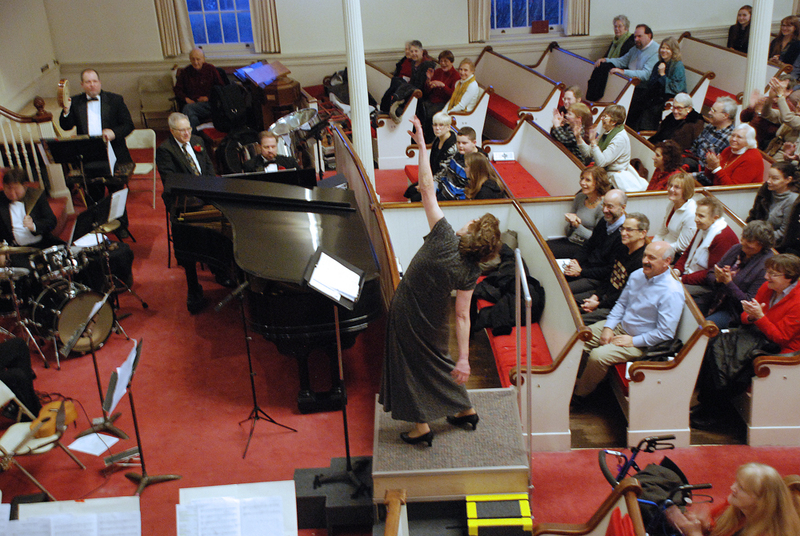 She was the Guest Conductor for the Danbury Music Centre’s annual “Messiah” performance in 2010. From 1990 to October 2017, Ms. Heidrich was the Director of Music of the First Congregational Church of Bethel, where she served as organist and directed the Sanctuary and Handbell Choirs. Ms. Heidrich is a certified Vocal Adjudicator for the Connecticut All-State Chorus. 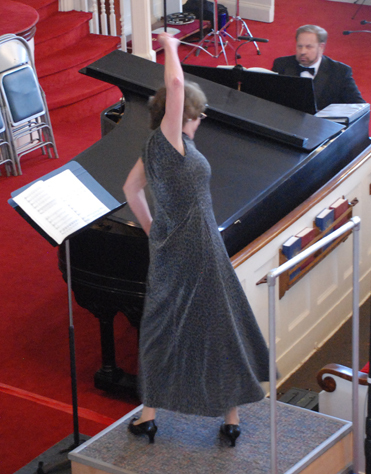 She is also affiliated with the American Choral Directors Association, Chorus America, Association of Connecticut Choruses, Conductors Guild, and the Society for Professional Music Directors.